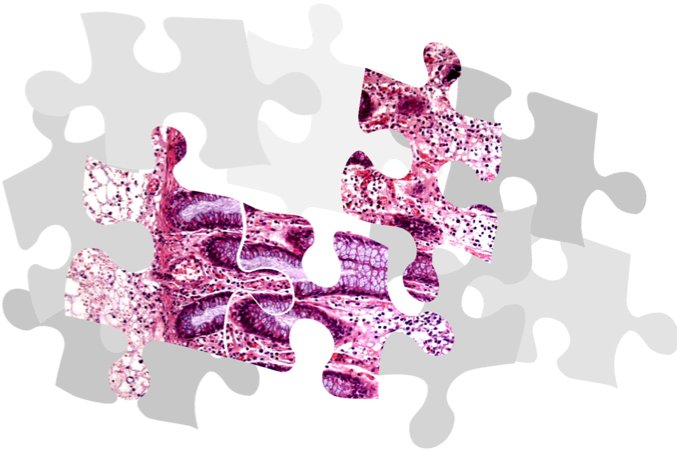 Inflammatory bowel diseases (IBD) comprise a heterogeneous group of chronic relapsing and remitting conditions defined as Crohn’s disease, ulcerative colitis, and other unclassified forms. The pathogenesis of IBD is multifactorial, encompassing environmental factors, imbalances of the microbial flora, epithelial barrier defects, immune dysfunctions, and genetics. Children with rare forms of very early onset IBD (VEO-IBD) show a distinct and severe phenotype refractory to standard medical and surgical treatment, suggesting that the pathogenesis is triggered mainly by inherited factors. Paradigmatic studies by our laboratory and others have shown that VEO-IBD can be caused by monogenetic defects in IL10 and IL10R genes (Glocker et al, NEJM 2009). Based on the knowledge of the underlying molecular etiology, IL-10R-deficient patients could be treated with allogeneic hematopoietic stem cell transplantation, an innovative therapeutic approach for defined patients with IBD (Kotlarz et al, Gastroenterology 2012). These studies have underscored the critical need for cutting-edge genetic diagnostics in children with VEO-IBD. To elucidate novel genetic signatures of VEO-IBD in a systems biology approach, we have together with our partners in Boston and Toronto, established an international and interdisciplinary VEO-IBD consortium including world experts in the field of immunology, genetics, gastroenterology, intestinal stem cell biology, microbiomics and bioinformatics. We have systematically screened a large cohort of more than 450 patients by employing whole exome sequencing. Our computational and network analysis has revealed novel genetic mutations that might be implicated in the pathogenesis of VEO-IBD. We validate newly identified sequence variants and analyze the underling molecular etiology in various experimental models (patients’ samples and cell lines, heterologous model systems, mouse models) using state-of-the-art genetic, immunological, and molecular and cell biological technologies. In addition, we employ advanced omics-based approaches (e.g. transcriptomics, proteomic, microbiomics) to complement our genetic studies. We believe that studies of novel monogenic defects causing VEO-IBD will highlight basic insights into key molecular factors controlling human intestinal homeostasis. This knowledge of molecular disease mechanisms will provide rational arguments for the clinical management and define precision medicine approaches of pediatric patients with IBD, but may also highlight novel therapeutic principles for patients with common variants of adult IBD.